As we all go SUV-crazy, the manufacturers are feeding our habits with ever-expanding ranges of vehicles. 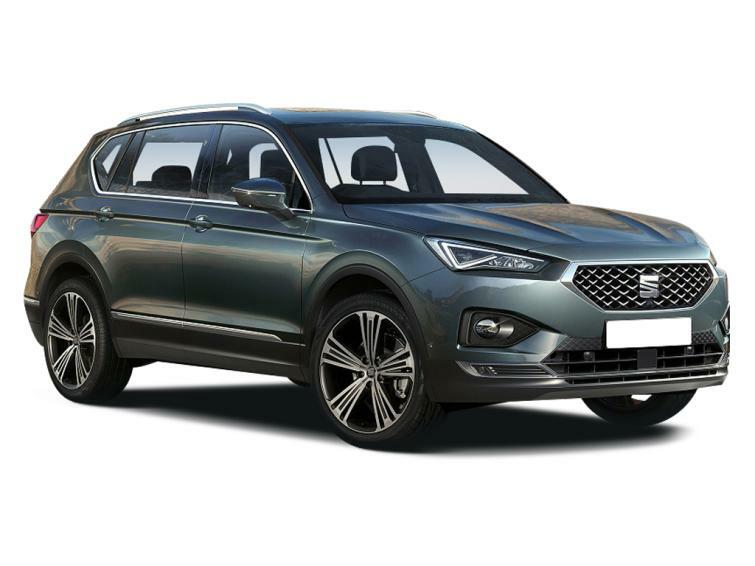 Seat is the latest, adding the third – and largest – model to its range, in the shape of the Tarraco. The Tarraco is a seven-seat SUV, but that increase in size hasn’t diluted Seat’s stylish sense of design, with this new model adopting the same sharp styling lines and triangular shapes on the lights. The proportions are right, too, the length and SUV bulk working well together. Inside it’s cavernous, the 40:20:40 rear bench moving forward and back to enable the pair of third-row seats to be used – although there’s never a great deal of room back there, in common with every seven-seat SUV on the market. All the passenger seats fold flat, including the front passenger seat, to make the carrying of long loads possible. The 700-litre bootspace is greater than the Kia Sorento and Hyundai Santa Fe, which makes the Tarraco something of an oddity – a car that is stylish and practical. The technology in the Tarraco is equally useful and practical, with an eight-inch touchscreen performing all the tasks we’ve come to expect from an entertainment system, plus there’s Apple CarPlay and Android Auto. Many of Seat’s recent models have impressed on the road – the Leon and Arona, in particular, are rewarding to drive – and the Tarraco is along the same lines. Few large SUVs are completely engaging, but the Tarraco makes a good fist of being enjoyable to drive and it feels more agile than the Nissan X-Trail or Kia Sorento, for example. Despite its heft, it corners with stability and there’s a sharpness to the steering that makes it feel secure. The switchable drive modes are also useful to help it adapt to the road and driving conditions. The ride quality is well judged and we didn’t experience any serious disruptions to the comfort levels when driving on a wide range of British roads. The engine range offers something for every buyer, with two petrol and two diesel options – all of which offer something for buyers with different priorities. There’s certainly a lot of competition in the segment, with not only the models we’ve mentioned, but also the Renault Koleos and two models that are closely related to the Tarraco, the Volkswagen Tiguan Allspace and Škoda Kodiaq. The cheapest Kodiaq is a lot cheaper than the base Tarraco, but the Seat is very well equipped at every trim level, which justifies the additional cost. The company has also taken the decision not to offer huge amounts of extra options: for example, there are seven paint colours, all of which are included in the price, which is unusual in 2019. The lower-powered diesel can officially achieve up to 47.9mpg, which makes it the most economical variant in the range. The smaller of the two petrol engines is likely to be the most popular variant, as it offers a good blend of economy and performance. The more powerful petrol engine can manage an 8.0-second 0-62mph time, which is the equal-fastest in the range (along with the 2.0 TDI 190PS). February 2018 Named after the Spanish coastal town of Tarragona - chosen via a social media vote. October 2018 Unveiled at the Paris Motor Show. April 2019 First cars delivered to UK customers. There are four engine options, two petrol units and two diesels. The two petrol engines are called TSI, while the diesels are called TDI. The Tarraco is launched with four trim levels – SE, SE Technology, Xcellence and Xcellence Lux – that add more equipment to the basic specification as the price of the package increases. There are six-speed manual and seven-speed automatic gearboxes. The 1.5 TSI Evo, 2.0 TSI and 2.0 TDI 190PS are available with one or the other, while the 2.0 TD 150PS is available with either. A straightforward line-up of engines includes two petrol units and two diesels. The 1.5 TSI Evo is predicted to be the best seller. It’s widely used across the Volkswagen Group (of which Seat is a part) and has proven itself to be highly usable. It might struggle a little to haul a car the size of the Tarraco, especially from a standing start, but if you’re not that bothered about performance, it should do the job. The 2.0 TSI is a bit more powerful and feels slightly more nimble than the diesel-engined variants, with a lighter engine under the bonnet. There’s plenty of power for most owners, too, although real-world fuel consumption will most likely struggle to get north of 30mpg. The two diesels are versions of the well-established 2.0 TDI engine, which is pretty refined and offers enough shove, even in the 150PS version, to make progress. The lower-powered version is the most economical car in the range, as long as it’s bought with the six-speed manual (a seven-speed dual-clutch automatic transmission is also available), while the 190PS version returns only marginally better figures than the 1.5 TSI. At launch, the Tarraco will be available in four trim levels, which will be augmented by the sportier FR and FR Sport later in its life. The trim packages start with the well-equipped SE. Highlights include 17-inch alloys, LED lights all around the car, metallic paint (there are no additional costs for paint colours), smartphone integration, 8-inch colour touchscreen, Bluetooth, steering wheel-mounted controls, fully adjustable (including lumbar support) front seats, cruise control, rear parking sensors, four driving modes, eCall, autonomous emergency braking, lane assist and hill hold. SE technology adds the likes of 18-inch alloys, tinted rear windows and navigation system. Xcellence increases alloy size to 19 inches and also includes body-coloured bumpers, chrome roof rails, Alcantara-covered sports seats at the front, adaptive cruise control, keyless entry and go, rear view camera and park assist self-parking feature. At the top of the trim tree is Xcellence Lux, which adds 20-inch alloys, leather front sports seats, electric driver’s seat, top view camera, and heated front and rear outer seats. The Tarraco was launched after the most recent Auto Express Driver Power survey and won’t qualify until the 2020 edition (although it's unlikely to sell in high-enough volumes to qualify even then), so it's too early to assess how reliable it will prove. However, the Ateca and Leon do appear in the survey, plus the company is 15th among the 26 carmakers in the league table of most reliable manufacturers. Seat’s warranty is a fairly standard three years and 60,000 miles. It does pale in comparison with the Hyundai Santa Fe’s five-year package of cover and the Kia Sorento’s seven-year warranty. The Tarraco has only just been launched, as this buyers’ guide is written, so second-hand examples are thin on the ground. However, BuyaCar is showing new cars being discounted, with savings of up to a hefty £4,705 on some versions. This also suggests that there could be bargains among used cars later on, despite estimates of resale values being 45% after three years.